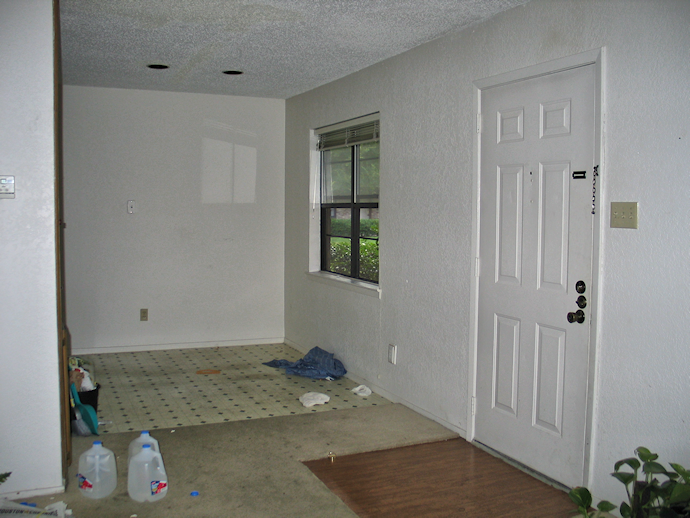 It has taken me forever to get to this room finished, so let me remind you how this room looked when we bought our condo. And let me also remind you that as soon as we were handed the keys, I walked in and started snapping pictures. I didn’t even take a few minutes to clear away the junk left by the previous occupants, and I was way to anxious to wait for the electricity to be turned on. So this is a truly authentic “before” picture. You can see that it was basically a big white box. A blank canvas, so to speak. And I knew almost as soon as I walked in that I wanted to fill the space with built-ins to utilize the vertical space. Hover your mouse pointer over the picture below to get a quick view of the before and after. Yep…just a blank wall. In a blank room. Next to an ugly apartment-grade kitchen. There was literally nothing to see here. If you’re looking for any projects that I did for this room, you’ll probably find them here. Some of these items may no longer be in the room. If you have any questions about the room, I’ll try my best to answer! But because I took soooooo long to get it finished, I didn’t really keep great records on how much stuff cost me. 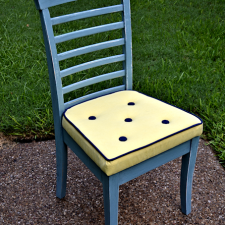 But I do have paint colors and stuff like that that I’ll try to add to this post very soon. Stunning! The colours are fantastic, the way you have utilized the space is brilliant. You have a great knack for making all of your project impeccable. My goodness Kristi, you took a spot that looked so tiny and made it look HUGE. Super job! Simply amazing. I am majorly loving this!! You are so talented. Holy moly!!! It’s fabulous!!! Live the built in sette and how it’s tufted! Beautiful work! Holy moly!!! It’s fabulous!!! Live the built in settee and how it’s tufted! Beautiful work! Absolutely gorgeous!!! The transformation is amazing!! You must be so proud of yourself!! WOW!!! You are truly gifted. Your vision really made this room!! I love everything about it. AWESOME!! 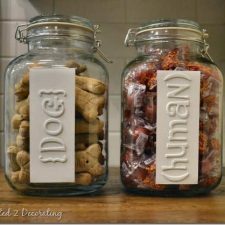 We are currently in talks about moving (ugh – I want to move so bad – but I HATE moving), and the house we are looking at has a teeny eat-in that I would like to do something like this to! I LOVE the way yours turned out – way to go! All your hard work paid off! Wow! What a transformation! It is absolutely gorgeous! And the space looks soooo much bigger! Holy cow what I makeover! You are so talented. I love love love it. this is a great transformation, the colors are so inviting. Any great project needs its time, and here there are some many here! What a beautiful room, talk about maximizing your space. I so wish I had see something like this when I was still in our condo! Bravo!!! Off to pin this! Beautiful job! I would have to do the kitchen cabinets next so they’d match. Well, Kristi, it was certainly worth the wait. You are brilliant! And I would say that even if you weren’t my daughter. 🙂 I love it!!! This is fantastic! 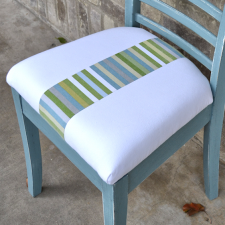 Blue and green are my favorite colors [right now] for my in-progress dining room which is a bit bigger than your space but by no means full sized. I’m linking to it so you can see what we’ve got. 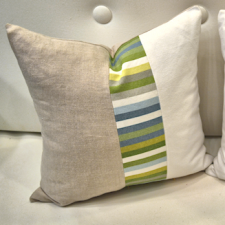 I really love those pillows, and I was just saying to my husband that we could make a banquette for one side of our dining table. Wow! Seriously wonderful job! Nice scaling to the room size too! I really cannot find words to describe what a fabulous job you did on this. 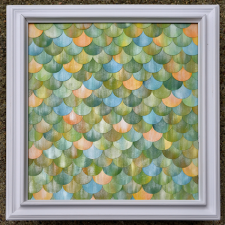 I love, love, love the overall room, but that “fishscale” art has just captured my heart. You are SO talented! Great job! What a transformation! WOW – it’s stunning! Worth the 50 month wait!!! You knocked this baby out of the park! Wow! Amazing transformation! Your room looks beautiful. How did you do the wainscoting on the walls? This is gorgeous! What a great use of space, I love the built in bench! Beautiful! I love your talent. What a beautiful space and with great storage too! Looks so warm and homey. I can get lots of inspiration here! WooHoo!! What a lovely space you have created!! Color is always good!! And I love how the table top is a take-off from the countertops now. I bet you are totally enjoying it. It really is amazing to see what you can do! Keep up the great posts and ideas! Glorious is about all I can say about this transformation. Such style and class!! Absolutely beautiful. Wow! This is so beautiful. I really enjoyed the back and forth option of rolling the cursor over the before and after photos. I was so amazed that I just kept looking at it. Great job. Love it! Wow! Fantastic! I love it, well done! It feels so much more “home-y” now. 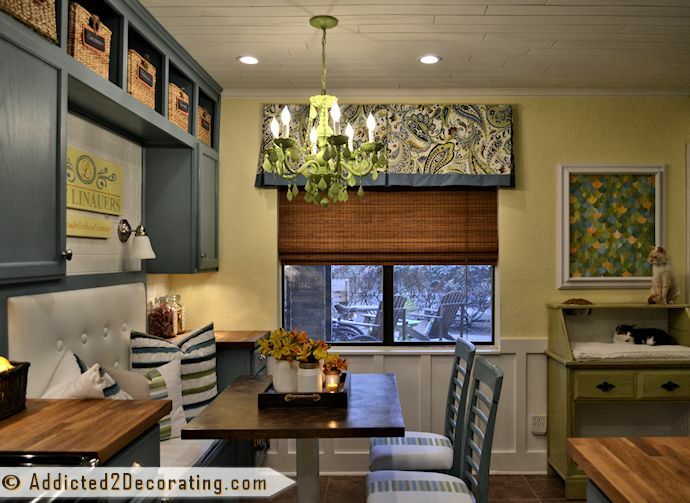 I love the colour you chose for the cabinets, the chandelier is awesome and so are the wooden benchtops! Go girl! You are an amazing talent! 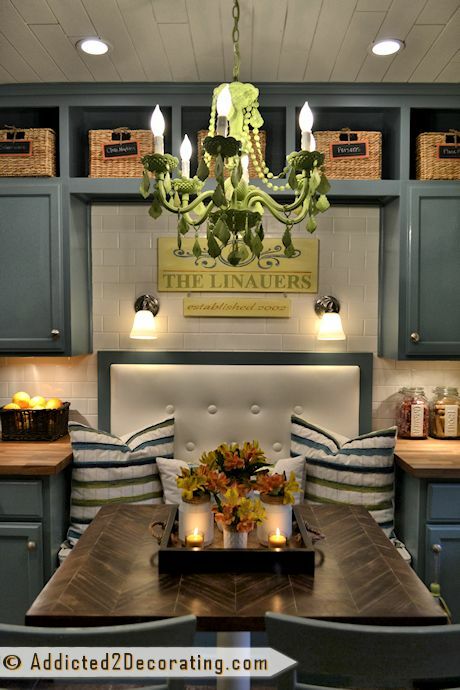 Your kitchen and eat-in nook are perfect compliments to each other and a huge asset to your whole condo. The colors are perfect. Thanks for sharing – I loved the before/after photos. All that color in anyone else’s hands would have been a hot mess. You really make it work. I am a person who hates wasted space and clearly you do, too. You’ve really given this little room an amazing new life and function. Anyone looking for a condo is going to be blown away by yours! Happy selling when the time is right! You are amazing! I always look forward to seeing what you have done. You are gifted, girl!!! Keep it coming – I love it!!! 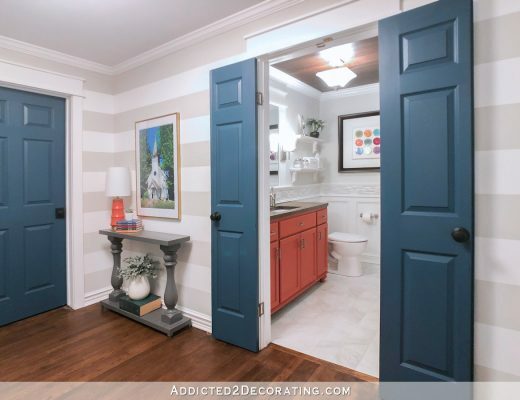 Absolutely love the redesign of the room and all of your color choices! It is an amazing job and you are very talented! You are definitely a “pro.” Love the blue and yellow (with a hint of green) VERY fresh and SO very pretty. How will you ever sell you condo now? Most of us who have had houses all our long lives now long for condo’s – less work, less maintenance! Kristi you are just amazing! Ah!! When I read your blog title in my email browser I got all exacted! I love reveal time! I loooove the way your room turned out. Honestly, I love everything. The planked ceiling, the stained table, the fun chairs, the dry sink furniture thing turned cat living area, I love the built ins to the ceiling. Very nice!! You did a great job!!! Wow, Kristin! You are one Gifted woman – what an amazing space! I just adore the colors- they just take me to a happy place. Kristi – absolutely amazing transformation!!! Totally gorgeous! 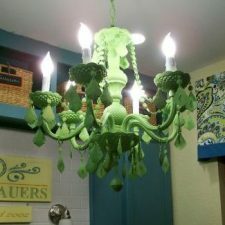 Love, love, love the chandelier! Love it! Love EVERYTHING about it!!! I think you did an awesome job and everything you did just totally helped make it a very unique and awesome space!! I would say hope you enjoy spending many more days in here, except I hope more that you get your house soon!!! 😉 Great job!!! Wow! What a transformation. Kudos to you for having the vision. Fantastic job. I love every single detail. You are so talented. 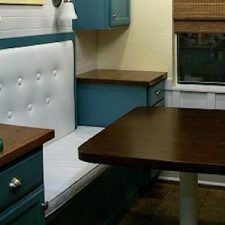 I’ve really enjoyed viewing your kitchen / breakfast area and hope to build a storage seating bench similar to yours. Merry Christmas and Have a Blessed New Year. Wow, that’s just gorgeous. It looks really big after the redo. Wow, Kristi, what a transformation. I love the kitty hangout. WOW! What a transformation! The room looks so much larger than the before picture! 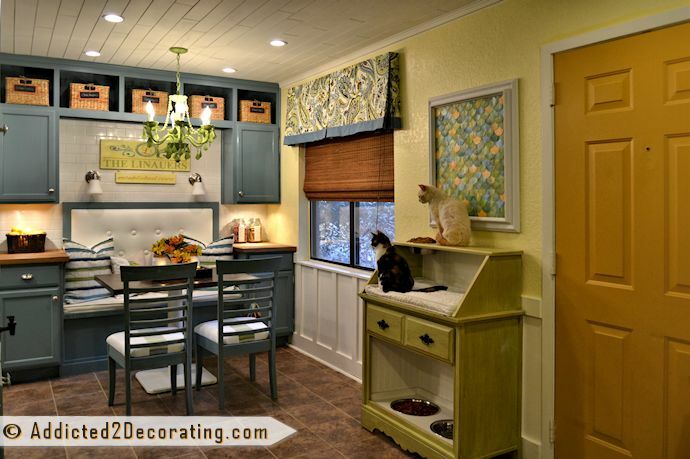 I love everything about this space: the colored cabinets, the molding on the walls, the color palette… I especially love how you did a pet station!!! I just discovered you blog a few minutes ago and love it! Your redo looks wonderful. I love how you integrated a special place for the kitties. Being owned by 6 of them myself I see this as being completely GENIUS. I’m going to do it. I’m going to go ahead and call this a shocking transformation- holy. smokes. what a change! Bravo!! So impressed with this, what a transformation! I love to see empty spaces made such good use of…well done! The whole makeover looks fantastic! I especially like the seating for the table. To say I am blown away is a complete understatement! I am so shocked & in awe 🙂 I have lived in ugly white box rental condos for so long & I am in LOVE with your space! I am SO impressed — and I am seldom impressed. You are a rare talent! Woah! What a transformation! I surfed here looking for “bath fixture painting” tips (thanks for the info), and clicked on this photo just for fun. Can’t BELIEVE it’s the same room (I know, I know, so cliché to say that), but seriously, what a beautiful transformation from a boring builder basic apartment grade dining area to beautiful, designer, “I could live in this room” style. Please don’t invite your neighbors over, they will never be satisfied with their own unit after seeing yours. Amazing work! What a mind boggling transformation! So many fabulous small details come together for a cohesive, gorgeous finish. I would never have imagined that tiny space could pack so much style. Well done! This is truly amazing! I can’t believe what you did with a blank wall! 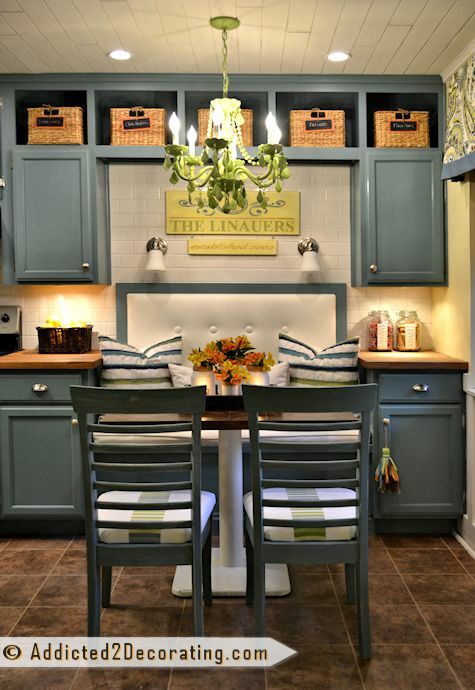 And yes, it’s colorful, but it’s not over the top…the gorgeous blue cabinets really help ground it and make it cozy. love, love, love! It’s funny, it looks much bigger after adding the pieces you did! I love the overhead cabinets especially, with the baskets. It’s really beautiful. Good job! This rom looks fantastic!!!! Looks like a Candace Olsen design 🙂 I love the colors! How did I miss this?!!! Oh my goodness, I love everything about it! Love it, Kristi! 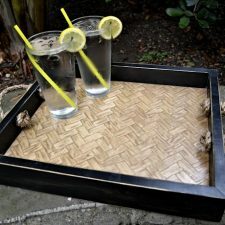 I just discovered you blog from a Pinterest posting. This is the cutest room ever! 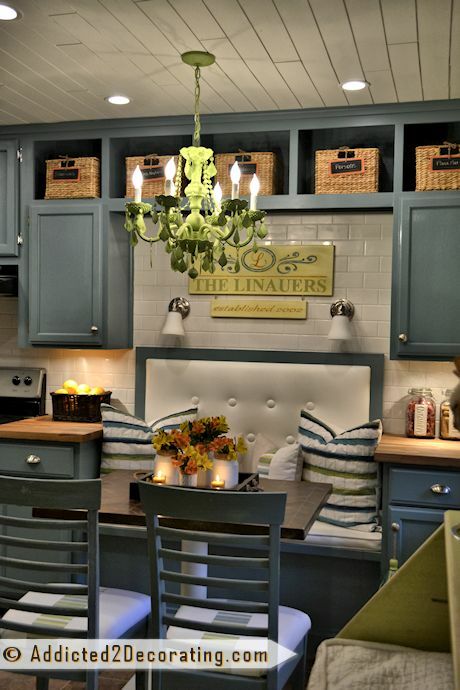 I would love to know how you did the cubbies above the cabinetry…are they DIY’d? An amazing idea. I just clicked over from pinterest. That is a fantabulous transformation! Love your re-do! 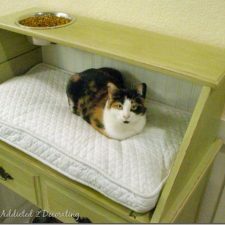 That cat sit/feed station is the coolest thing!! I’ve got to say it took 4 minutes for your page to load: oacentral.blogher and pier39 something really were hanging…If I hadn’t wanted to make sure I “pinned” from the source, I’d never have waited…just fyi. I’m kinda obsessed with your kitchen!! 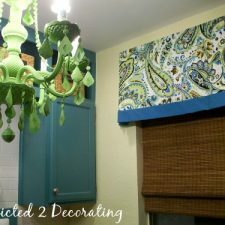 I am so inspired to redo my own kitchen thanks to your wonderful pics. Keep up the good work! You did an awesome job. Fabulous, awesome, wonderful!! Really amazing! I envy your designing skills..So lovely! Hi, I love love love your condo!!! I am in the process of buying one that is very similar to yours. I can’t wait to make it my own. Your blog has been very inspirational. Especially since my condo is in move-in condition- I am a little afraid I might mess it up, but really want it to be homey like yours! Love it!!! All I can say is WOW. Fantastic job. Thanks for posting. What an inspiration!!! 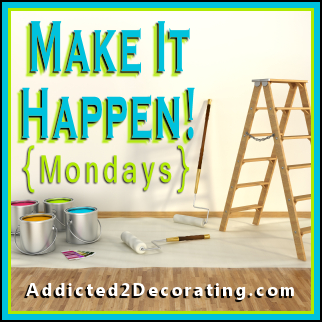 I am about to venture on a redo in my tiny place and really need that push! I am 60 now and in times past was always at it fixing up! But have become complacent!! But this redo really got the creation juices flowing!! Thank you! 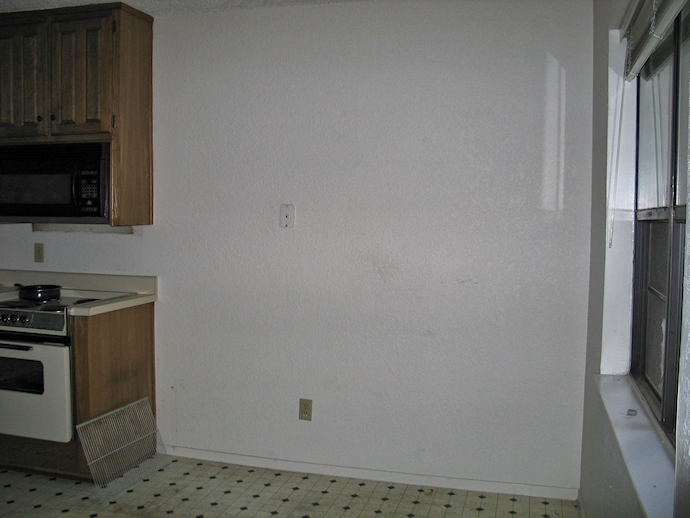 I would love to know more about the way you put the cabinets together in the eating area. Are the shelves above the sette store bought or hand made? DO you have pics of that process? You may have guessed that I have an area in mind for just such a thing! You did such a beautiful job! Thank you for letting us all share and for your tips. Amazing amount of built-ins & the room looks larger! Beautiful! Kitchen and eat area looks great! 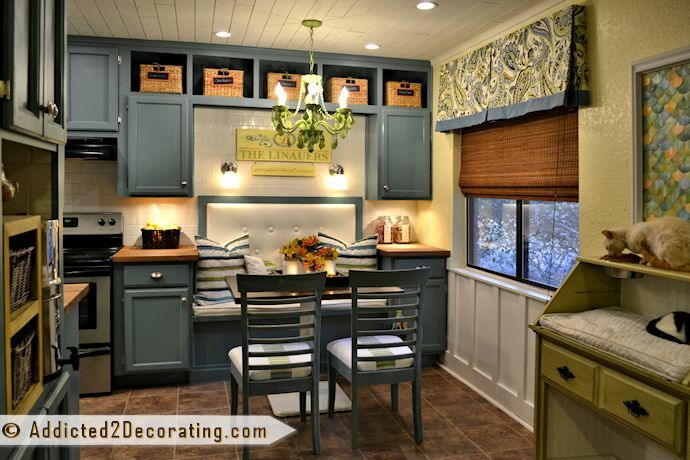 love the color of the cabinets. That’s absolutely gorgeous!! Love it….! 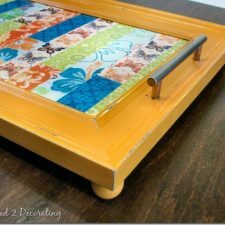 Love the colors and the textures and patterns you used. This truley is quite an amazing transformation. I really love all the textures and patterns. I’m curious to know how you came about brainstorming this design? Someone has a creative flair! Great job! My goodness woman, you are a genius! I love your color pallet, your design of space ~ you made a (excuse me for saying) horrible room, absolutely gorgeous!! You deserve such praise. I enjoyed all your photos, you should be proud of what you have accomplished. I accidentally found you, and will follow you from now on. Thank you for posting this transformation. 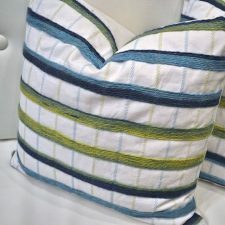 It is quite lovely, you are such a talented designer if I might add! WOW! Simply amazing. I am still trying to take in all that you did to that small place. You have some serious talent! I have seen many wonderful makeovers but this takes the cake! My kitchen is exactly the same layout as yours. I just had new tile laid and I want to redo the cabinets and counter-top. I do not want the same white cabinets color scheme that is so popular. I also feel that black would make the small window-less kitchen seem even smaller. You have definitely given me ideas. Hi there – I really love the finish you added to the wall beneath the window and extending to the door. Do you have a step by step or instructions on how you did that part? I think it really adds to the elegance of the room. Oh my goodness! You are truly talented and that chandelier makes me want to jump up and down with excitement!! 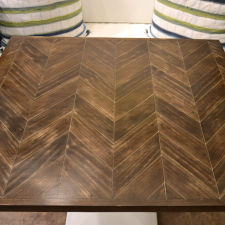 On your breakfast nook makeover, what type of flooring did you use? I cannot tell for sure from the pics. I used groutable peel-and-stick vinyl floor tile from Home Depot. The brand is Trafficmaster, and the color is called Shasta. 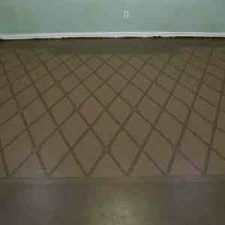 Was the Trafficmaster tile put down over the old flooring and is yours grouted? I really like the color. I took up all of the old flooring and installed the tile directly on the concrete. I did grout the tiles. I just found your blog. 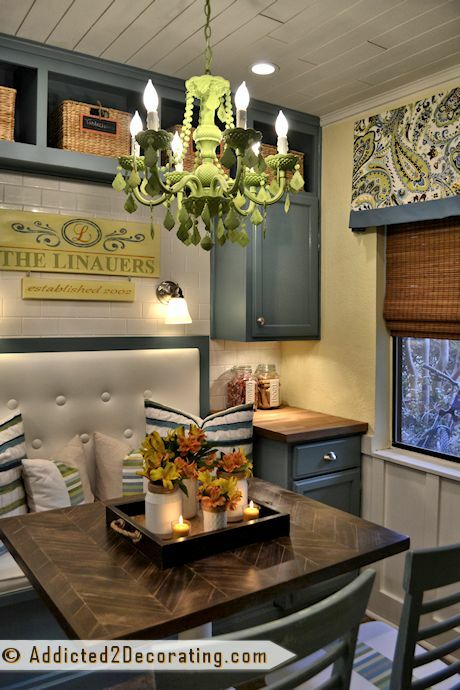 You had me with your kitchen make-over, but then I saw your breakfast nook and was just blown away. You are amazing and an inspiration to me (as I’m sure to all your readers). 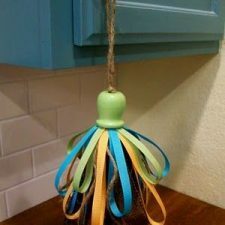 I love to decorate, but have no DIY talent or, perhaps more important, no patience, so I rely on ready-made. I’m soooo looking forward to reading all your posts. 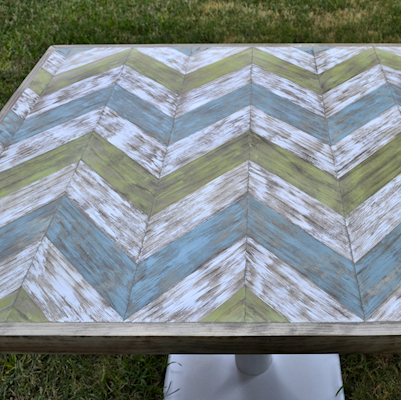 Kristi, Love Love Love the colors you chose! Came here to see the antiqued pet station (which I also love) and I’m so glad I saw the room make-over. I am def. saving this for when we re-model. Thank you! I really like the window treatments you’ve used here. IT. IS. AMAZING. WOW. Thanks for sharing! I am a young new blogger. I love decorating & seeing the professionals in action! You are an inspiration to me & i’m sure many other young Home Bloggers just starting out. I LOVE your BLOG & designs! 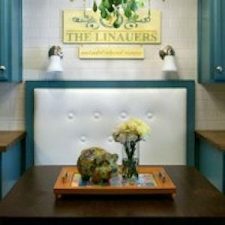 I love looking at how you redid your kitchen, I am moving into an apt with a similar layout and getting great ideas! That is abslutely beautiful! Soo many clever ways to use the space. One thing that caught my eye – the wood on the ceiling. I have been wanting to do this in our master bedroom. I was thinking of laminate flooring. What do you think? What did you use in your project? I think you could use laminate flooring, but it would probably cost more than you need to pay to get this look. I used 1/4-inch plywood for mine, cut into 4-inch strips. 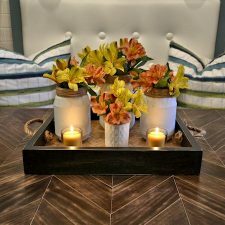 I’m new to your blog (brainstorming ideas for my own dining remodel) and LOVE what you’ve done to this space. I just want to know what influenced you, was it a picture, function, item, color scene, also did you have this planned in your head beforehand or did the space evolve over time? Please share your secrets for letting the creativity flow. I have ideas for my own remodel but don’t know how to execute or have the confidence to make risky decorating decisions. Q & A–What Foyer Paint Color Will Coordinate With This Living Room? 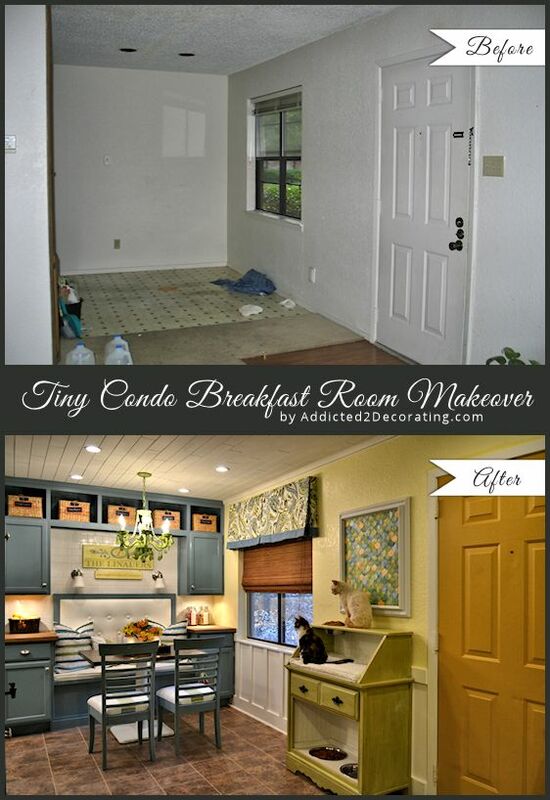 Your breakfast room condo redo is professional and exciting.. 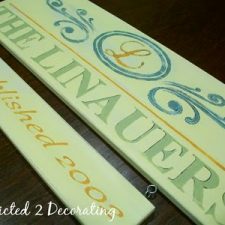 I came across your blog searching for branch pulls and finding the article on the painting above your fireplace. Bluebonnets! I knew you or your mom lived in Texas. My mom lived in San Angelo. I have all her paintings and she did several bluebonnet ones. The frame story was delightful. I love Country Living magazine but their posts on facebook are usually awful. You should send them some pictures of your work. I am addicted to decorating too. Have three homes all done in different colors. One is a 1930s log cabin on a lake that I redid in colors from Turkish kilims. Am sure you are familiar with those. I used lots of copper.. copper sinks, copper light fixtures, copper pulls, etc. At 66 I need to be slowing down but can’t stop. That is a true addiction, eh? You have many years to explore and decorate. It has given me so much joy and with the internet it is so easy to find unusual items. Keep on, girl; you are off to a grand beginning! Get Mary Kay Andrews’ new book: Girls Night Out. You will love it. 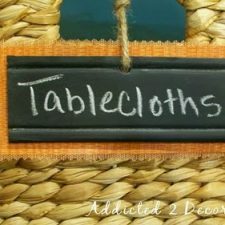 It’s about a gal who has a decorating blog! 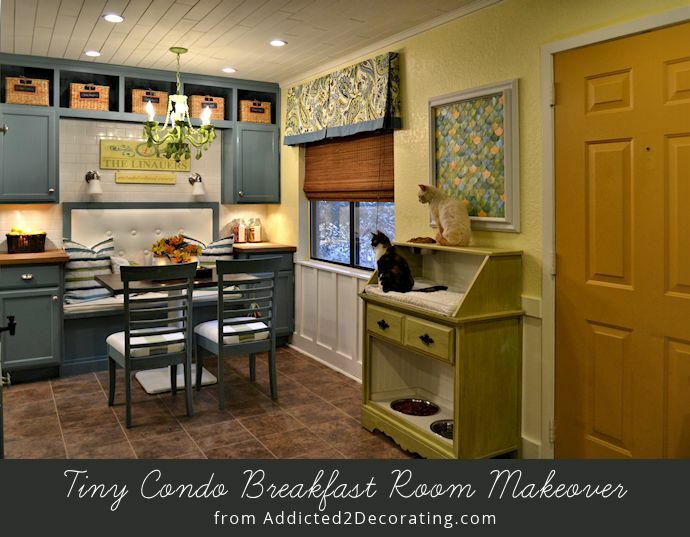 Kristi – what a great makeover you performed in this breakfast room. 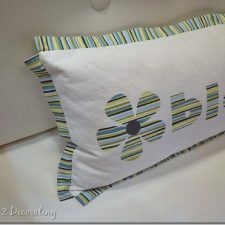 You took it from “blah” to simple elegance with the colors and pattern combinations. Your blue and greens blend really well. 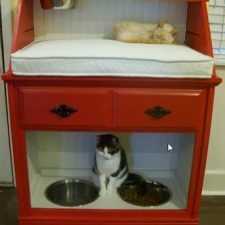 Your cat haven is a unique addition and obviously enjoyed as well. Thanks for the inspiration! I red flash light just went on my head! 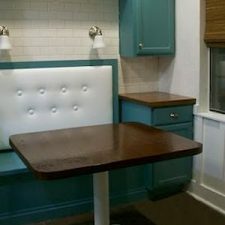 I think I can do this ( not as good as you of course) in a tiny space in my kitchen I like to call “breakfast nook” I have no much room since the door to the pantry is on the way, but I could work around it. How big would you say that part of the room is? 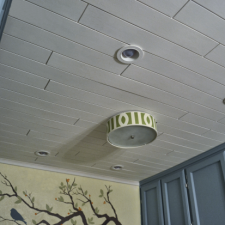 The wood on the kitchen ceiling is 1/4-inch plywood cut into 4-inch strips.